We welcome aspiring netballers of all ages and abilities. We don’t mind if you’ve never played netball before, or can’t remember when you last played. 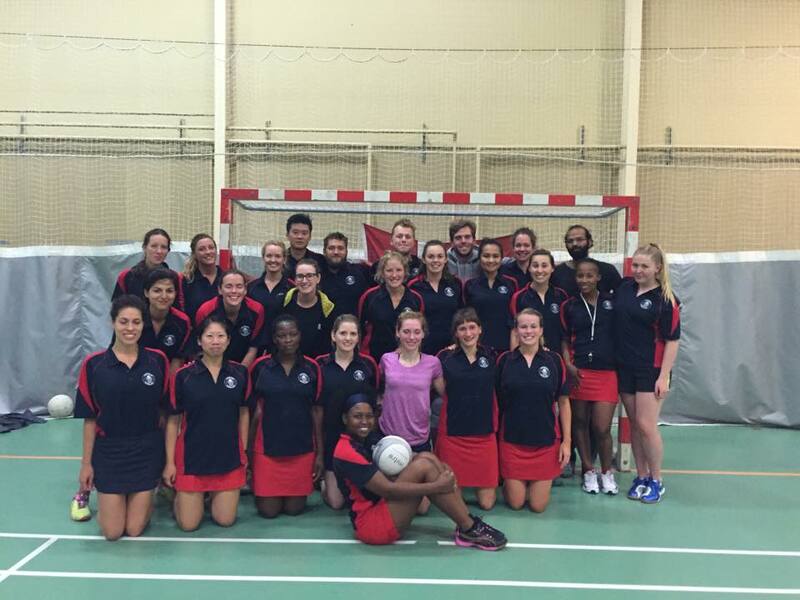 Our members are a mix of beginners through to experienced players, and we have both Danes and foreigners. Our mixed team trains trains on Wednesdays at Bellahøj at 8.00pm, arrive at 7:50pm for news and updates from the club! Join us at Bellahøjhallerne, Hall 1, Bellahøjvej 1-3, 2700 Brønshøj. You can take bus 5A, 250S or 350S from Nørreport station, or bus 13 from Flintholm station which stops directly at Bellahøjhallerne. Turn up on a Wednesday and play. If you’re new to the game, we’re happy to teach you in Danish or English. Newcomers can play for free twice before they have to decide whether to join the Club. The club has changed to an annual fee payment process as of January 2018. For all current members, 2018 is the transition year. You will be notified of your fee. The annual club membership fee is 450kr, pro rata this is 45kr per month excluding July & December (Summer & Christmas breaks). The fee is to be paid in January each year. Bank: Lån & Spar Bank; Registration number: 0400; Account number: 4021013191. From January 2018 the club introduced a loyalty discount. All returning players will be given a 20% discount on the annual fee. There will be no retrospective application, and no accumulation of discounts. Email us at copenhagennetballclub@gmail.com or join our Facebook group: Copenhagen Netball Club. Don’t forget to follow us on Instagram too “Copenhagennetballclub” Instagram.